10 Signs you’re ready for Yoga Teacher training. You’ve noticed your studio is offering a teacher training. You’re interested in joining the secret society of yoga teachers, but how do you know if you’re ready? You’re a yogavangelist. You invite friends, family, and random people on the street to class with you. When your great auntie complains of lower back pain (among her 20 other maladies), you sit her down and patiently take her through some gentle yoga poses. When your coworker gets pregnant, you send her an email with a list of the prenatal classes in town—all of them. Your 60 or 90 minute class is no longer enough for you. You yearn to go deeper, to know more; hell—just to know. You want the big picture, and you even think you may be ready to develop a home practice, if you don’t have one already. You’re over your day job. You consider that thing you do eight hours a day, five days a week as a way to generate funds to pay for your yoga habit. Now you suspect it may provide the venture capital you need for yoga teacher training. A training program isn’t cheap, that’s for sure – but you’ll generate some extra income after you start teaching. And you secretly fantasize that someday perhaps you’ll quit the day job and (gasp!) teach full-time. You’re not a flake. Trust me, there are plenty of flaky teachers out there, and yoga doesn’t need more of them. There are the teachers who lose students—or even teaching gigs— because they show up late to class, or don’t show up at all. Their classes are disorganized, and they’re not particularly well-versed in teaching asana safely. If you think you want to teach, be honest with yourself—are you responsible? Are you committed to the path? There are no successful shortcuts—or slackers—in yoga. You’ve got some business sense—or you’re willing to work on it. You’ve done your own taxes, you can balance your budget and accounts, and you have some idea of how you would promote your classes. As a yoga teacher, you do your own bookkeeping, set up and pay subs when you’re away, and report your teaching earnings each year. Never fear, if you have a learning curve in this area, you can learn the rudiments of bookkeeping easily with an online course or a helpful friend, and your teacher training program (if it’s good) will include a unit on the business of yoga. You genuinely like people. And you like interacting with them. Not to say that you must be an extrovert, but being a people person definitely helps, as you’ll be in the people business. Introversion has its place in advancing your personal practice, which will, in turn, enrich your teaching. But have no doubt that students will feel comfortable in class if you’re comfortable in your own skin in a leadership position and in working closely with them. You’re a good multitasker. While teaching yoga, you’ll be working on multiple levels simultaneously—helping the new student in the back, giving a modification to a student with an injury, challenging the more advanced students to go deeper, being aware of the time, and planning your next instructions simultaneously. If you enjoy having balls in the air, this is for you. It gets easier with time and experience. You bring something unique to the mix, or you have a special interest. With the number of yoga studios in metropolitan areas now rivaling Starbucks, do the math to figure how many yoga teachers have saturated the field. Before you dive in, think about what you bring to the mix that may be unique. Are you great with children? Have you overcome a physical challenge that makes you more empathetic to students with injuries? Do you have a passion for working with senior citizens? Embrace and grow these circumstances and interests. You’re prepared to take an inner journey. Yoga teacher training can be an emotional rollercoaster, as you peel off the layers of the ego and reveal parts of yourself previously buried or unknown. It’s usually ultimately enlightening but can be temporarily traumatic. You love to learn, and you’re happy to invest in it. As a yoga teacher, you’ll be a lifelong learner. A wise yogi once said: enlightenment is not a destination; there are only enlightened actions. In other words, there will never be a point when you arrive and say, “that’s it—I’ve reached enlightenment, I can stop learning.” This also means you’ll continue to invest a good deal of time and resources in more classes, workshops, and trainings. Ultimately, the price tag of your training is much greater than the cost of your initial teacher training course. But if yoga teacher training is truly your path, the benefits, transformation and feeling of peace you gain will far exceed the investment you make. I am ready personally for teacher training. My concern is with all the very advanced poses. I am not there yet. Do you have to be or are these very advanced poses for a handful of yogis and not the majority? You need the time..and the money… Anyone can do it. Everyone should do it…but u can still be amazing without it. I did one at 21thanks daddy. And thn another at 29. I loved both. 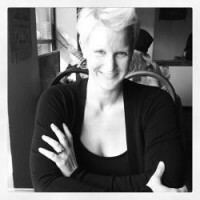 Dr. Kelli Harrington is a teacher trainer, a yoga teacher and co-founder of ZenSpot, Inc.–Hot Yoga, Human Empowerment and Feng Shui design company dedicated to creating positive life balance for mind, body, and spirit. Harrington is also the co-founder of the ZenSpot Institute, a yoga teacher training facility and online education school dedicated to certifying high quality yoga teachers and wellness change-agents. As a certified fitness trainer, Ayurvedic lifestyle and weight management specialist, stress management and life coach, Reiki Master and wellness leader, Kelli spends her days running her business in service to others. As a vegan, EdTech geek, social media junkie, entrepreneur, activist, and environmentalist Harrington earned a doctorate in Educational Organizational Development and Leadership from the University of San Francisco; two Masters degrees at Teachers College, Columbia University and Pace University respectively. ZenSpot, Inc., is based in Oregon with facilities in both Portland and Eugene.